With classes for almost all dance forms, anyone over the age of four is welcome to learn at this dance school. From Bharatnayam to hip-hop, this dance studio in Kalyan Nagar will show you all the right moves. Squats and bench-presses can swiftly become monotonous for all of us who are not gym bunnies. And if you’re like me, then in one day, it’s boring. And this studio in Kalyan Nagar is keeping things fun in the fitness game with their dance classes. Xavier’s Dance Studio has been teaching people how to move to the groove — from ballet to bharatnatyam, since 2009. If you wondering about other dance forms, they’ll get you jiving to peppy tunes, have you shimmying like Shakira with a belly-dancing routine, and all the while you’ll be dropping calories. While you may think that dance is all about the action, these folks dig a little deeper with theory sessions too. But don’t be put off by that, it’s just a basic introduction to dance forms, you won’t get tested on it. Anyone who’s over four years old is welcome to break it down here. Their classes for the little ones start at a reasonable INR 1,200 per month. Also, most of the children’s batches have a trial class that let’s them ease into the dance program and making sure they feel comfortable with it. A noob yourself? Not to worry. The classes are conducted in three batches — beginners, intermediate and advanced. The trainers here will rightly pair you with the batch that matches your skill and pace. 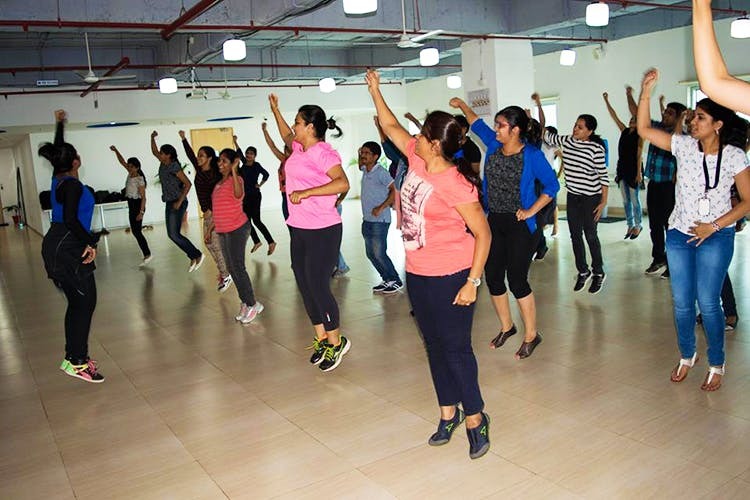 Monthly classes are priced at INR 1,500 at most, depending on the dance form you choose to learn, making this workout as affordable as it is fun. Additional services they offer include freelance choreography and dance shows. So if you’re planning to get the squad together to perform a choreographed number at your friend’s sangeet, you know who to call.